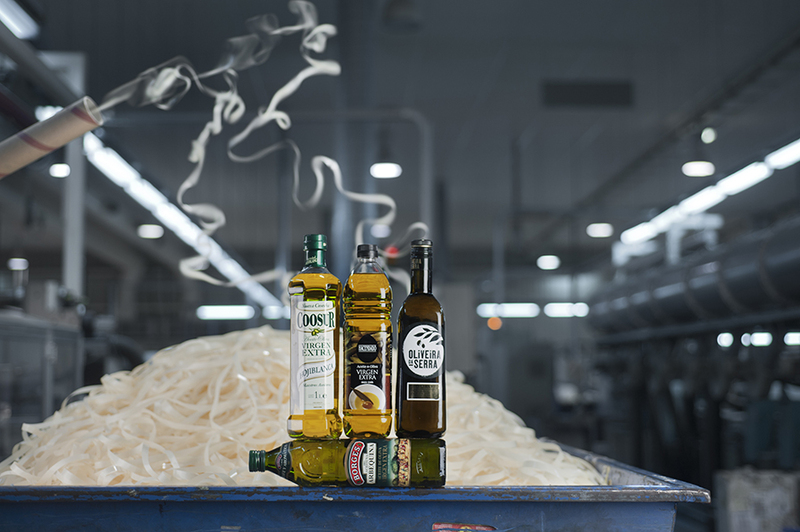 Founded in 1959, Grupo Lappí is a leading manufacturer in the iberian industry of labelling. 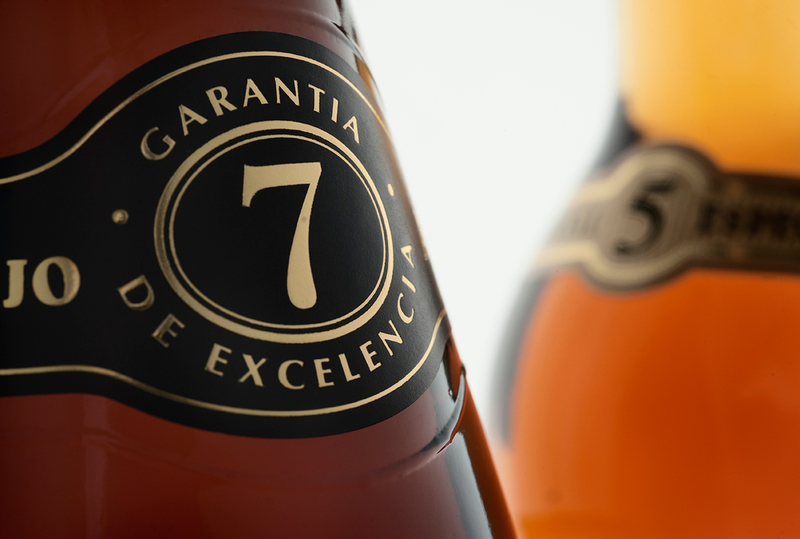 Grupo Lappí’s labels reach all kinds of consumer products, mainly food and drinks, and home and personal care products. Lappí has four production plants, one in Sevilla (Dos Hermanas), another one in Barcelona (Abrera) and two in Évora, Portugal (Vila Viçosa). The group exports 48% of its sales, reaching countries of Europe, America and Africa. The domestic industry of labelling, which has traditionally been very atomized (about 70 manufacturers, all of them with less than 7% market share), is undergoing a consolidation process. Group Lappi, being one of the few manufacturers present in all business segments, is located in a privileged position to lead this process. Francisco Martínez es socio del Departamento de derecho mercantil de Garrigues de la oficina de Madrid desde 2009. Sus áreas de especialización son derecho societario, M&A y capital riesgo, siendo uno de los socios responsables del grupo de Estructuración e Implantación de Vehículos de Capital Riesgo. Francisco ha intervenido en algunos de los proyectos de creación de vehículos de capital riesgo más relevantes de los últimos años en España. Su experiencia también abarca la intervención en numerosas operaciones de M&A y reorganizaciones, incluyendo todo tipo de sectores y estructuras. Tiene además una amplia experiencia en asesoramiento legal corporativo, incluidas operaciones de reorganización societaria, siendo secretario del Consejo de numerosas sociedades y grupos multinacionales de diferentes sectores. Es profesor habitual del Centro de Estudios de Garrigues e Icade, donde imparte en distintos Masters materias relativas a fusiones y adquisiciones y a operaciones societarias en el marco de operaciones de M&A. Francisco es licenciado en Derecho y en Administración y Ciencias Económicas y Empresariales por la Universidad Pontificia de Comillas, y miembro del Colegio de Abogados de Madrid. 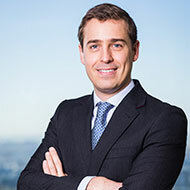 Francisco Martínez has been a partner in the Corporate/Commercial Law Department at the Garrigues Madrid Office since 2009. His areas of expertise include company law, M&A and private equity being one of the partners in charge of the Structuring and Establishment of Private Equity Vehicles group. Francisco has participated in some of the highest-profile projects for the establishment of private equity vehicles to take place in Spain in recent years. His experience also includes intervention in a great number of M&A transactions and reorganizations in Spain across a range of industries and structures. Francisco Martínez has a wealth of experience in providing advice to companies, including on corporate reorganizations, and he serves as Board Secretary to numerous companies and multinational groups operating in various industries. He regularly lectures at Centro de Estudios de Garrigues and Icade (Universidad Pontificia de Comillas), where in recent years he has taught classes on different Master’s courses relating to mergers and acquisitions and corporate aspects in the context of M&A transactions. Mr. Olábarri is a Partner and General Secretary of the Board of Garrigues Asesores Legales where he has practiced law since 1984, specialising in Commercial and Tax Law. Mr. Olábarri is also a professor in the MBA programme at the Centro Europeo de Estudios y Formación Empresarial. He holds a law degree from the University of Navarra and is a member of the Bar in Madrid. 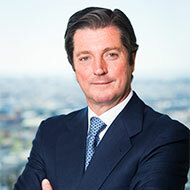 During his business career, Mr. Masferrer has held a number of senior executive positions in growth, turnaround and other diversification situations for several major Spanish companies such as former CEO of Corporación Aguas de Barcelona, where he was able to leverage the cash flows generated by the core water treatment business to diversify the company into a major conglomerate through several acquisitions. Mr. Masferrer currently serves as Chairman of Inforsistem and Inmobiliaria La Campana and is an independent Board Member of Nubiola, Metalogenia, Abantia and Azalea. 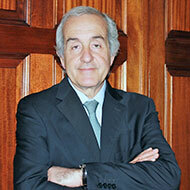 He is also the former Chairman of the Catalonia Train System and Degremont and Executive Vice-Chairman of Europastry. Mr. Masferrer holds a law and economics degree from the University of Barcelona. Mr. van Doorne currently serves as Managing Director of several independent investment funds. He is also a Director of several leading Dutch and European companies, including Pallieter Holding BV, Indivers BV and Vender Group. He is the former Vice-Chairman and co-founder of OTB Group BV, a leading Dutch engineering firm based in Europe with presence in the U.S. and Asia. 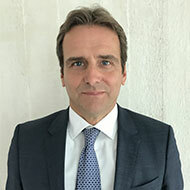 He is also former Managing Director of NeSBIC (1996-2001) and Executive Partner of NeSBIC Buyout Fund, as well as General Manager of Banque de Suez Nederland NV. Mr. Van Doorne holds a law degree from the University of Utrecht. Mr. Abbott has extensive experience in the management and operations of both investment banking and of non-financial enterprises. He has acted as advisor or principal to a number of private equity transactions and continues to advise several private equity investors. Mr. Abbott was Chairman of MeesPierson U.S.A., one of the oldest merchant banks in The Netherlands, and later Chairman and CEO of Fortis Capital Holdings. Mr. Abbott is currently the manager of License Management, LLC, a trademark licensing firm he founded in 2002. Previously, he was the CEO and Chairman of Savin Corporation, a NYSE-listed office product company, as well as the non-Executive Chairman of Wenger North America. Mr. Abbott holds a Bachelor of Arts in English Literature from Harvard University. Partner-Managing Director at Charman Auditores, an auditing company that counts with 20 auditors and has presence in Bilbao and Madrid. Mr. Eguidazu is currently Chairman of Fundiciones del Estanda, Optenet and of Real Sociedad de Golf at Neguri (Bilbao). He is also external manager at Equipos Termo-Metálicos as well as receiver in bankruptcy of several companies. In addition, Mr. Eguidazu worked nine years in the firm Coopers & Lybrand, both in the auditing and Corporate Finance departments. He is the former Director of several companies, the portfolio management company Credit Agricole Mercagestion, among them. Mr. Bergareche, Chairman of Diana Capital, is currently First Deputy Chairman of Vocento and of El Diario Vasco. He is also Director of Diario El Correo, Banco Guipuzcoano and High Tech Hoteles. 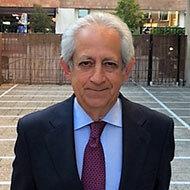 Mr. Bergareche has developed his professional career at Grupo Correo, beginning in 1975 at El Correo Español – El Pueblo Vasco in Bilbao, fostering the development of the group, currently named Vocento, having held the positions as Director, Managing Director and Chief Executive Officer until 2007. He has also been a Director at Gestevisión Telecinco, Chairman of the Spanish Newspaper Publishers Association and Second Deputy Chairman of Recoletos Compañía Editorial. In 2002 he received the Entrepreneur of the Year Award. Mr. Bergareche holds a Degree in Economics and Law from the University of Deusto and he is a member of the Basque Entrepreneurs Association since 2004. Mr. Narvaez joined Diana Capital in August 2013, after having overcome an internship period. While studying Business Administration, he performed an internship in Crowe Horwath Auditores España. Since January 2012 Mr. Narvaez holds the position of Investment Analyst, working along with the rest of the team in the identification and analysis of investment opportunities, development of investment proposals, and collaboration in the monitoring of portfolio companies. He holds a Bachelor in Business Administration from the Centro Universitario Villanueva, affiliated to the Complutense University of Madrid. 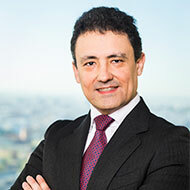 Mr. Gortázar joined Diana Capital in January 2016. Prior to joining Diana Capital he worked at Viscofan S.A., where he served as assistant to the Finance Director in the subsidiaries of Mexico and United States. 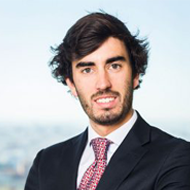 Mr. Gortázar started his professional career at Deloitte Bilbao in 2009, auditing and doing risk management analysis of multinational companies. Mr. Gortázar currently serves on the Board of Directors of Grupo Lappí. Mr. Gortázar has a Bachelor of Business Administration by Universidad Comercial de Deusto and an MBA by IE Business School. Mr. Polo joined Diana Capital in 2008. 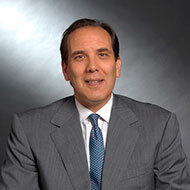 Prior to joining Diana Capital, he served as a Managing Director at Univision Communications in Los Angeles, California, where he was responsible for launching and managing its home entertainment and consumer products divisions, as well as for other corporate development initiatives. Mr. Polo started his professional career at Garrigues & Andersen (Arthur Andersen) in 1997 in Bilbao, working as a tax consultant, advising international corporations and family offices in different transactions and industries. Mr. Polo currently serves on the Board of Directors of Megafood and Estanda. Mr. Polo holds a Bachelor of Science in Business Administration from the University of Deusto and a Master of Business Administration from the Tuck School of Business at Dartmouth College. 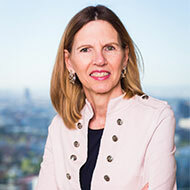 Ms. Pajarín joined Diana Capital in 2003. Prior to joining Diana Capital, in 2002, she worked as a financial management associate at Citigroup in New York. Ms. Pajarín started her professional career at McKinsey & Company in 1998, working in Madrid on strategy projects for clients in the telecommunications, energy and banking sectors. Afterwards, she moved to California in 2000, to become the project manager for business building activities at Silicon Valley Syndicate. Ms. Pajarín currently serves on the Board of Directors of Gocco and Lumelco. Ms. Pajarín holds a Bachelor of Science in International Business Administration from ICADE, a Bachelor of Science in Business Administration from Northeastern University and a Master of Business Administration from the Sloan School of Management at MIT. Mr. Sandoval joined Diana Capital at its inception in 2000. Prior to joining Diana Capital, he worked at the Private Equity firm Mercapital, where he was responsible for investment and divestment opportunity analysis and monitoring of portfolio companies. Before, he worked at Arthur Andersen, as an auditor and consultant. His professional career started in the Corporate Finance Department of Map Securities in London. Mr. Sandoval is currently a Board Member of Gocco, BQ and Gransolar and in the past served on the Board of Directors of Recyde and was also a member of the Monitoring Committee of Guascor’s Board of Directors. Mr. Sandoval holds a Bachelor of Science in Business Administration from the CUNEF (Complutense University of Madrid). 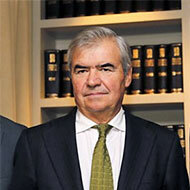 Mr. Fernández Las Heras joined Diana Capital at its inception in 2000. Prior to joining Diana Capital, he worked for the Investment Department of Caixa Catalunya Gestió, SGIIC, the fund management company of the third largest Spanish savings bank. Mr. Fernández Las Heras also worked at Citibank. Mr. Fernández currently serves on the Board of Directors of Grupo Lappí, assists to the Board of Directors of Megafood and served on the Monitoring Committee of Guascor’s Board of Directors. Mr. Fernández Las Heras holds a Bachelor of Science in Business Administration from and degree in finance, both by Universidad Complutense of Madrid. 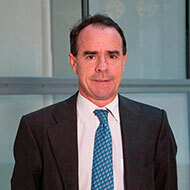 Before founding Diana Capital in 2000 Mr. Gómez–Zubeldia was Deputy General Manager of Capital Markets at BBV, since 1993. He was also the representative of Spain before the European Commission for the integration of the European Union Stock Exchanges since 1999. 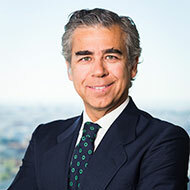 From 1991 to 1993, he was appointed Managing Partner of Mergers and Acquisitions at Asesores en Derecho, a leading Spanish law firm specialized in merger and acquisition transactions for middle-market companies. From 1989 to 1991 he was Deputy General Manager of Capital Markets at Banesto Bank, after spending two years in the capital markets division of BBV (formerly Banco Vizcaya), between 1987 and 1989. Mr. Gómez–Zubeldia commenced his professional career in the Consolidated Bank of New York in 1983. 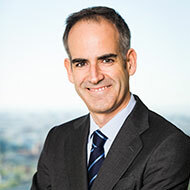 He subsequently joined the insurer Seguros Bilbao in 1984, as assistant to the Chief Financial Officer. He currently serves on the Board of Directors for Gocco, Megafood, bq, Estanda, Gransolar, Grupo Lappí, Lumelco and Veralia and previously was a member of the Board of Directors of Guascor, Indal, Recyde, Brilen, Uldesa, Polibisa, Veblinsa and General Medical Merate. 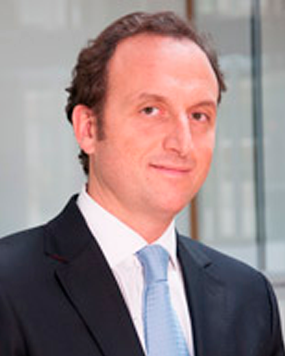 He is a former member of the board of the Spanish private equity association (ASCRI). Mr. Gómez–Zubeldia holds a law degree from the University of Deusto, Bilbao. He completed the I.E.S.E. (University of Navarra) General Management Programme and has been a member of the Instituto Español de Analistas Financieros since 1995. Ms. Guerrero joined Diana Capital in its foundation in 2000. Prior to Diana Capital, Ms. Guerrero worked in American Express Spain as Secretary of Management, successively in the Departments of Marketing, Big Accounts and Public Relations, and from 1995 to 2000 as Executive Secretary of General Travel Directorate for Spain, Italy And Greece. She holds a degree in Contemporary History from the Universidad Complutense de Madrid. 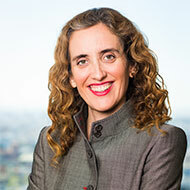 Ms. Alquézar joined Diana Capital in 2008. Prior to Diana Capital, she worked at the company Communication Studio where she was assistant to the CEO. He previously worked at NAC RE as an Assistant Director. 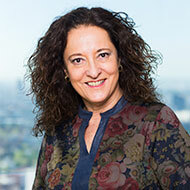 Ms. Alquézar began her professional career at General Re in 1981 in Madrid, as assistant to the Director General and collaborating in technical work. She holds a degree in Psychology from the Universidad Complutense de Madrid, has a postgraduate degree in Cooperation and Humanitarian Action from the UNED and holds the superior title of Japanese language by the Official School of Languages. La Sra. Alquézar se incorporó a Diana Capital en el año 2008. Con anterioridad a Diana Capital, trabajó en la empresa Estudio de Comunicación donde fue asistente del Consejero Delegado. Anteriormente trabajó en NAC RE como asistente del Director General. La Sra. Alquézar comenzó su carrera profesional en General Re en 1981 en Madrid, como asistente del Director General y colaborando en labores técnicas. Es licenciada en Psicología por la Universidad Complutense de Madrid, tiene un posgrado en Cooperación y Acción Humanitaria por la UNED y posee el título superior de idioma japonés por la Escuela Oficial de Idiomas. La Sra. Guerrero se incorporó a Diana Capital en su fundación, en el año 2000. Con anterioridad a Diana Capital, la Sra. Guerrero trabajó en American Express España como Secretaria de Dirección, sucesivamente en los Departamentos de Marketing, Grandes Cuentas y Relaciones Públicas, y de 1995 a 2000 como Secretaria Ejecutiva de Dirección General de Viajes para España, Italia y Grecia. Es licenciada en Historia Contemporánea por la Universidad Complutense de Madrid. El Sr. Olábarri es Socio y Secretario General del Consejo de Garrigues Asesores Legales firma en la que desarrolla su actividad profesional desde 1984, con especialización en derecho mercantil y fiscal. El Sr. Olábarri también es profesor del programa de MBA del Centro Europeo de Estudios y Formación Empresarial. Es licenciado en Derecho por la Universidad de Navarra y es miembro del Colegio de Abogados de Madrid. Durante su carrera profesional, el Sr. Masferrer ha ocupado una variedad de posiciones de alta dirección, habiendo tenido que afrontar situaciones de crecimiento, reestructuración y diversificación en importantes compañías españolas. El Sr. Masferrer es en la actualidad Presidente de Inforsistem y de Inmobiliaria La Campana, y es miembro independiente del Consejo de Administración de Nubiola, Metalogenia, Abantia y Azalea. El Sr. Masferrer es licenciado en Derecho y Económicas por la Universidad de Barcelona. El Sr. Van Doorne es en la actualidad Consejero Delegado de diversos fondos de inversión independientes. Asimismo, es Consejero de varias compañías líderes en Holanda y Europa, como Pallieter Holding BV, Indivers BV y Vender Group. Anteriormente, fue Vicepresidente y co-fundador de OTB Group BV, una firma de ingeniería holandesa líder basada en Europa con presencia en EE.UU. y Asia. Leo Van Doorne es licenciado en Derecho por la Universidad de Utrecht. El Sr. Abbott cuenta con una dilatada experiencia en gestión de banca de inversión y de otras compañías no financieras. Ha sido asesor en un importante número de operaciones de capital riesgo y asesora a varios inversores de capital riesgo. El Sr. Abbott fue Presidente de MeesPierson EEUU, uno de los más veteranos bancos de negocios en Holanda, y posteriormente Presidente y Consejero Delegado de Fortis Capital Holdings. El Sr. Abbott es en la actualidad Gerente de License Management, LLC, compañía que fundó en 2002 dedicada a la explotación de licencias. Con anterioridad fue Consejero Delegado y Presidente de Savin Corporation, una compañía de productos de oficina cotizada en el NYSE, así como Presidente no Ejecutivo de Wenger North America. Es licenciado en Literatura Inglesa por la Universidad de Harvard. Socio-Director en Charman Auditores, empresa con 20 profesionales y oficinas en Bilbao y Madrid. Actualmente es Presidente de Fundiciones del Estanda, Optenet y de la Real Sociedad de Golf de Neguri (Bilbao) y gerente externo de la sociedad Equipos Termo-Metálicos, así como administrador concursal de varias compañías. Adicionalmente, el Sr. Eguidazu ha trabajado nueve años en la firma Coopers & Lybrand, trabajando en el área de auditoría de cuentas y como miembro del departamento de Corporate Finance. Ha sido consejero de varias sociedades como la gestora de fondos de inversión Credit Agricole Mercagestion. Es licenciado en Ciencias Económicas y Empresariales por la Universidad de Deusto Bilbao y miembro del Registro Oficial de Auditores de Cuentas. Antes de fundar Diana Capital en 2000, el Sr. Gómez-Zubeldia fue Subdirector General de Mercados de Capitales de BBV desde 1993, siendo el representante de España ante la Comisión Europea para la integración de las Bolsas de Valores de la Unión Europea, desde 1999. Desde 1991 hasta 1993, fue nombrado Socio Director de Fusiones y Adquisiciones de Asesores en Derecho, un despacho de abogados español líder en fusiones y adquisiciones para compañías de middle-market. Entre 1989 y 1991 fue Subdirector General de Mercados de Capitales de Banesto, puesto al que llegó procedente de la división de Mercados de Capitales de BBV (antes Banco Vizcaya) donde permaneció entre 1987 y 1989. Comenzó su carrera profesional en el Banco Consolidado de Nueva York en 1983, desde donde se incorporó como adjunto al Director Financiero de Seguros Bilbao en 1984. En la actualidad forma parte de los Consejos de Administración de Gocco, Megafood, bq, Estanda, Gransolar, Grupo Lappí, Lumelco y Veralia y con anterioridad fue miembro de los Consejos de Administración de Guascor, Indal, Recyde, Brilen, Uldesa, Polibisa, Veblinsa y General Medical Merate. Asimismo, el Sr. Gómez-Zubeldia ha sido miembro del Consejo de la Asociación Española de Capital Riesgo (ASCRI). Es Licenciado en Derecho por la Universidad de Deusto, Bilbao y ha realizado el Programa de Dirección General del I.E.S.E. (Universidad de Navarra) siendo miembro del Instituto Español de Analistas Financieros desde 1995. El Sr. Bergareche, Presidente de Diana Capital, es en la actualidad Vicepresidente Primero de Vocento y de El Diario Vasco. Además es Consejero de Diario El Correo, Banco Guipuzcoano y High Tech Hoteles. El Sr. Bergareche ha desarrollado su carrera profesional en el Grupo Correo comenzando en El Correo Español – El Pueblo Vasco de Bilbao, impulsando el desarrollo del Grupo, hoy llamado Vocento, desde los cargos de Consejero Director General y más tarde Consejero Delegado, cargo que desempeñó hasta 2007. También ha desempeñado otros cargos de relevancia como son: Consejero de Gestevisión Telecinco, Presidente de la Asociación de Editores de Periódicos Españoles, Vicepresidente Segundo de Recoletos Compañía Editorial. En 2002 fue distinguido como ganador del premio Emprendedor del Año. Es licenciado en Ciencias Económicas y Derecho por la Universidad Comercial de Deusto y miembro del Círculo de Empresarios Vascos desde 2004. El Sr. Narváez se incorporó en Agosto 2013 a Diana Capital, tras haber superado un periodo en prácticas. Previamente y durante el periodo en que cursaba sus estudios de Administración y Dirección de Empresas, realizó unas prácticas en Crowe Horwath Auditores España. Desde enero 2012 el Sr. Narváez ha tenido las responsabilidades propias de la posición de Analista de Inversiones, colaborando con el resto del equipo en la identificación y análisis de oportunidades de inversión, elaboración de propuestas de inversión, y colaboración en el seguimiento de compañías participadas. Es Licenciado en Administración y Dirección Internacional de Empresas por el Centro Universitario Villanueva, adscrito a la Universidad Complutense de Madrid. El Sr. Gortázar se incorporó a Diana Capital en enero de 2016. Con anterioridad a Diana Capital trabajó en Viscofan S.A., donde ejerció de adjunto al director financiero en las filiales de México y Estados Unidos. El Sr. Gortázar comenzó su carrera profesional en Deloitte Bilbao en 2009, realizando auditorías financieras y análisis de riesgos a entidades multinacionales. El Sr. Gortázar forma parte del Consejo de Administración del Grupo Lappí. El Sr. Gortázar es licenciado en Dirección y Administración de Empresas por la Universidad Comercial de Deusto y posee un MBA por IE Business School. El Sr. Fernández Las Heras se incorporó a Diana Capital en el momento de su fundación, en 2000. Con anterioridad a Diana Capital trabajó en el Departamento de Inversiones de Caixa Catalunya Gestió, SGIIC, gestora de fondos de una de las mayores Cajas de Ahorros de España. El Sr. Fernández Las Heras también trabajó en Citibank. El Sr. Fernández Las Heras forma parte del Consejo de Administración del Grupo Lappí, asiste al Consejo de Administración de Megafood y ha sido miembro del Comité de Seguimiento del Consejo de Administración de Guascor. El Sr. Fernández Las Heras es licenciado en Ciencias Económicas y Empresariales y posee un Máster en Finanzas, ambos por la Universidad Complutense de Madrid. El Sr. Polo se incorporó a Diana Capital en 2008. Con anterioridad trabajó en Univision Communications en Los Ángeles, California, donde fue Director General de las divisiones de entretenimiento familiar y productos de consumo, siendo responsable de sus lanzamientos, así como de otras iniciativas de desarrollo corporativo. El Sr. Polo comenzó su carrera profesional en Garrigues & Andersen en 1997 en Bilbao, como consultor y auditor del área fiscal, asesorando a empresas multinacionales y grupos familiares en diferentes operaciones y sectores. El Sr. Polo forma parte de los Consejos de Administración de Megafood y de Estanda. El Sr. Polo es licenciado en Ciencias Económicas y Empresariales por la Universidad Comercial de Deusto y posee un MBA por la Tuck School of Business at Dartmouth College. La Sra. Pajarín se incorporó a Diana Capital en 2003. Con anterioridad a Diana Capital, en 2002, trabajó como Asociada de Gestión Financiera en Citigroup en Nueva York. La Sra. Pajarín comenzó su carrera profesional en McKinsey & Company en 1998 en Madrid, desarrollando proyectos de estrategia para clientes en los sectores de telecomunicaciones, energía y banca. Con posterioridad, en 2000, se trasladó a California, donde trabajó como Jefa de Proyectos de Silicon Valley Syndicate. La Sra. Pajarín forma parte de los Consejos de Administración de Gocco y de Lumelco. La Sra. Pajarín es licenciada en Ciencias Empresariales Internacionales por ICADE y en Administración de Empresas por la Northeastern University. Así mismo, posee un Master en Administración de Empresas (MBA) por el MIT Sloan School of Management. El Sr. Sandoval se incorporó a Diana Capital en su fundación, en 2000. Con anterioridad a Diana Capital, trabajó en la firma de capital riesgo Mercapital, donde fue responsable del análisis de oportunidades de inversión y desinversión, así como del seguimiento de las compañías participadas. Con anterioridad trabajó en Arthur Andersen, desempeñando sus responsabilidades como auditor y consultor. Su carrera profesional comenzó en Map Securities, en Londres. En la actualidad es consejero de Gocco, BQ y Gransolar y ha sido miembro del Consejo de Administración de Recyde así como del Comité de Seguimiento de Guascor. Es licenciado en Ciencias Económicas y Empresariales por el CUNEF (Universidad Complutense de Madrid). Ampliación de capital para financiar el plan de expansión en junio de 2016 por importe de €22M, llevada a cabo por Diana Capital II y un grupo de inversores cercano a Diana Capital y coinvirtiendo con los accionistas preexistentes. Potencial de crecimiento por las favorables perspectivas de la tecnología fotovoltaica, así como la sólida cartera de proyectos adjudicados para los próximos años en todo el mundo (especialmente Norteamérica, Latinoamérica, Asia y Oriente Medio). La ampliación de capital suscrita por Diana Capital fortalece la capacidad financiera y de avales de Gransolar permitiéndole licitar en solitario a proyectos de mayor envergadura, sin necesidad de ceder parte de proyectos a terceros.